I made this delightful, heavenly salad the other day while testing Winter Renewal Detox recipes. 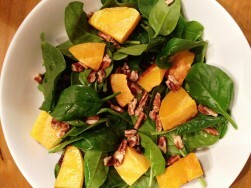 The butternut squash added warmth and sweetness and the toasted pecans a “pop” to the salad. Directions: Preheat oven to 350 degrees. Combine squash and 1 Tbsp. oil and place on an aluminum foil-lined baking sheet. Bake 20 minutes or until squash is tender. Meanwhile, whisk lemon juice and remaining oil in a bowl. Toast pecans in a skillet over low heat for 5 minutes. Combine spinach, squash, pecans and raisins in the bowl with the juice and oil combination. Toss and serve. 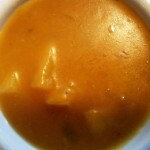 *You can save time by purchasing already cubed squash at the grocery store. 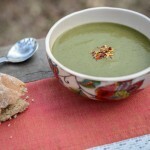 Want to make more delicious detox meals? 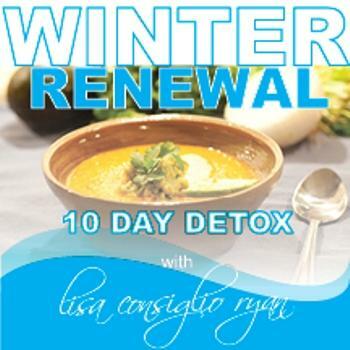 Check out the scoop on Winter Renewal 10 Day Detox.